And where, Lord Above, a better, more luxuriant, place than Del Mar by the Sea to learn our lessons from Brad Free, my dears? 1937 — Bing Crosby is there to greet the first fan through the gate as Del Mar opens. 1938 — The famous Seabiscuit-Ligaroti match race is held on August 12 and it draws 20,000 to the track and a nationwide radio audience. After a furious duel, Seabiscuit under George (The Iceman) Woolf and 130 pounds beats Ligaroti and Noel (Spec) Richardson at 115 by a nose. 1939 — Roaming the Del Mar backstretch this year as neophyte trainers and grooms are Charlie Whittingham, Noble Threewitt, Dale Landers and Leonard Dorfman. 1940 — Del Mar establishes itself as a playground for the stars. If you attend the meet this summer you might find yourself bumping into Dorothy Lamour, W. C. Fields, Paulette Goddard, Edgar Bergen, June Haver, Ann Miller, Don Ameche, Ava Gardner, Red Skelton and, of course, Bing Crosby and Pat O’Brien. 1941 — Del Mar presents its longest meet to date–32 days–and draws average crowds of just over 7,500 daily. Ferril Zufelt (48 wins) is the top rider, F. S. Baker and Mozier Helm (13 wins each) are the top trainers and the R. C. Stable is the leading owner with $14,575 in purses. 1942-43-44 –Del Mar is ‘dark’ as the U.S. plunges into World War II. Initially, the grounds are used for training by the Marines, then as a manufacturing site for parts to B-17 bombers. 1945 — The war ends and Del Mar begins again. When Japan surrenders, President Truman declares a national holiday for August 15 and 20,324 turn out at the track and bet a whopping $958,476, a Del Mar record. 1946 — Indian Watch and War Allies deadheat for the win in the first running of the Bing Crosby Handicap. The six-furlong dash goes on to become the track’s annual sprint championship and year after year draws the quickest in the west for speed battles deluxe. 1947 — The Santa Fe Railroad brings both racehorses and bettors south to Del Mar to do their thing. Cheering the arrival of the “racetrack special” from Los Angeles becomes a popular tradition for the locals. 1948 — A new crop of Hollywood types makes Del Mar the spot to be for summer frolic. Among the celebs who join in the turf and surf fun this year are Lucille Ball, Desi Arnaz, Betty Grable, George Jessel, Mickey Rooney and Jimmy Durante. Durante becomes such a regular that the track eventually names its turf course in his honor. 1949 — A young rider out of Texas sets a Del Mar record of 52 wins at the meet and becomes the first apprentice to claim the track’s riding title. His name is William Lee Shoemaker, and his history and that of the track will become entwined hereafter. 1950 — It’s the “Kid” vs. the “Vet” at Del Mar as Bill Shoemaker and Johnny Longden go head-and-head all summer for the track’s riding crown. In the end they finish in a tie with 60 wins each. 1951 — Bandleader Harry James makes a blast with Big Noise, a colt he named for his famous trumpet. The juvenile captures the Del Mar Futurity with Ralph Neves in the irons. 1952 — For the first time Del Mar’s average daily crowd climbs into the five figure range when the 41-day meet draws 426,691, a daily average of 10,433. The average daily pari-mutuel handle for the year is $760,058. 1953 — The track presents its richest stakes schedule thus far with 10 events worth $130,000 in added money. Leading rider Bill Shoemaker wins half of them, giving him five of the 93 added-money races he’ll capture during his unparalleled Del Mar riding career. 1954 — It’s that Shoemaker fellow again, this time winning a remarkable 94 races during the meet’s 41-day run, a Del Mar standard that may never be topped. Shoe teams up with trainer R. H. (Red) McDaniel that year to nearly breakup the game at the seashore: McDaniel saddles a record 47 winners, giving Shoemaker a leg-up on 42 of them. 1955 — An Argentinean filly named Cipria wins a maiden race by a head on September 1 and rewards her backers with $263.40 for each $2 bet to win, a Del Mar record that still stands today. 1956 — John Longden becomes the world’s winningest rider–passing Sir Gordon Richards–when he boots home Arrogate in the Del Mar Handicap on September 3, Labor Day, for victory No. 4,871. 1957 — The tough and versatile handicap horse How Now wins the six-furlong Bing Crosby Handicap and the nine-furlong Del Mar Handicap during the season. The two stakes wins are the first of five he’ll accomplish at the track, a mark that has been tied (Flawlessly), but not surpassed in the track’s history. 1958 — Mr. and Mrs. Fred Turner, Jr.’s Tomy Lee wins the Del Mar Futurity by three lengths under Bill Shoemaker. The following year Shoe and the English-bred colt by Tudor Minstrel combine to capture the Kentucky Derby. 1959 — The CTBA Selected Yearling Sales, now in its sixth summer at Del Mar, draws the get of such stallions as Royal Charger, Determine, Alibhai, Helioscope, Citation, Berseem and Imbros. One hundred and one head sell for a total of $613,000 as buyers look for the likes of such recent Del Mar yearling bargains as Lucky Mel, Old Pueblo, T.V. 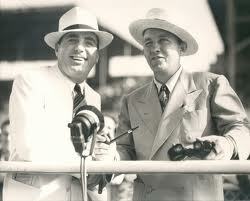 Lark and Silky Sullivan. 1960 — Del Mar unveils its brand-new seven-eighths mile turf course with its unique diagonal chute that allows for mile and one-sixteenth and mile and one-eighth starts. The course is an instant success. 1961 — Trainer Charles Whittingham saddles W.M. Ingram’s Scotland for a victory in the Del Mar Handicap. It is the first of a record 73 stakes victories at the seaside course for the shiny-domed conditioner, who goes on to become one of the greatest handlers of horses the game has ever known. 1962 — Crazy Kid, one of the fastest horses to ever come out of California, wins a division of the six-furlong Bing Crosby Handicap in a world’s record 1:07 4/5. Later that summer he runs a mile and one-eighth in 1:47 3/5 to capture the Del Mar Handicap. 1963 — It’s a season for track records to tumble. Pirate Cove runs a mile in a rapid 1:33 3/5, a main-track mark that is to stand for the next 25 years. On the turf course, the teletimer can’t keep up with the horses: Victory Beauty sets the standard at 7 1/2 furlongs with a time of 1:29 2/5; the same horse runs 1 1/16 miles in a record 1:43 2/5, and Puyallup establishes a new yardstick for 1 3/8 miles at 2:18 4/5. 1964 — Del Mar presents its silver anniversary summer season at the course “where nobody’s in a hurry but the horses.” Racing secretary Barry Whitehead comes up with a stakes and purse distribution of $1,500,000, which averages out to about $35,000 in prize money for the 42 days. 1965 — The sea breezes dance around some of the sport’s biggest names in the winner’s circle at Del Mar. The leading rider is William Hartack, he of the five Kentucky Derbies. The leading trainer is Farrell Jones, who is capturing the sixth of his record 11 turf and surf titles. And the top owner is Louis Rowan, the man who brought us Coursing, Ruken and Quicken Tree. 1966 — In ’66, a list of the track’s top six riders and top six trainers looks like this: Riders–Donald Pierce, Alvaro Pineda, Jerry Lambert, Rudy Campas, Bobby Jennings and Mario Valenzuela; Trainers–Farrell Jones, J.L. Mosbacher, Clyde Turk, James Jordan, Riley Cofer and Dale Landers. 1967 — Del Mar tries an experiment with a second meeting, running 42 days in the summer and 20 in the fall. The summer stand draws 10,028 a day, while the fall manages 4,173. On the pari-mutuel end, the summer portion does a daily take of $955,687, with the fall meet falling to $400,033. The experiment is not repeated. 1968 — One of America’s premier race callers, Harry Henson, takes up his summer post at the Del Mar mike for the first time, after making his local bow at the fall session in 1967. For the next 16 years his husky baritone massages the faithful at the horse heaven by the Pacific. 1969 — Clement L. Hirsch’s Figonero fires big in the lane to win the Del Mar Handicap over Triple Tux. The South American import’s winning time for the mile and one-eighth–1:46 4/5–establishes a new world record. 1970 — Bill Shoemaker boots home a filly named Dares J on September 7, 1970 at Del Mar and surpasses John Longden as the winningest rider of all time. Longden is there for the occasion and greets Shoe in the winner’s circle after victory No. 6,033. 1971 — For the only time in its history, the Del Mar Futurity is divided and the end results turn out to be quite similar. In the first division, favored MacArthur Park wins easily under Bill Shoemaker, while in the second half favored D.B. Carm also scores easily under Fernando Toro. Both colts run the seven and one-half furlongs on turf in 1:29 and take home $41,975. 1972 — A young Midwestern horseman named Jack Van Berg ships Mongo’s Pride to Del Mar and wins his first seaside stakes race in the Escondido Handicap. Van Berg goes on to saddle more than 6,000 winners, though he doesn’t capture another stakes at Del Mar until Beyond Perfection scores in the 1990 Del Mar Debutante. 1973 — Del Mar inaugurates the “Rocking Chair Derby,” a gathering of former riders for a return to glory in one exhibition race each summer. Racing’s answer to the “Old-Timers Game” draws eight soon-to-be-sore veterans: Ken Church, Dean Hall, Bill Harmatz, John Longden, Pete Moreno, Ralph Neves, George Taniguchi and Angel Valezuela. After the dust and nostalgia settle, Hall gets to ride the rocking chair in the winner’s circle. 1974 — Ambassador Maxwell Gluck’s famous Elmendorf colors fly on top of the owners’ roster at Del Mar as the top money maker at the session. Those same gold, blue and white silks lead the seashore parade for the next four summers, too. 1975 — Show biz sparkles in the Del Mar winner’s circle as movie producer Howard Koch and actor Telly Savalas get their charge Telly’s Pop to win the Del Mar Futurity. Though visions of Derbies-to-come were not to be, on this sunny afternoon lollipops aplenty were raised in cheers by trackside star-gazers. 1976 — “The Pirate” from Panama, Laffit Pincay, Jr., wins six races on opening day en route to 86 tallies and the first of his five Del Mar riding titles. During his exceptional summer stand, the muscular jockey also captures 12 stakes races, a record that still stands. 1978 — A trainer making the switch from quarter horses to thoroughbreds lets the racing world know he’s for real when he cuts loose a flashy filly named Terlingua to capture the Del Mar Debutante. The trainer’s name is D. Wayne Lukas and he goes on to rewrite racing history by building one of the winningest stables of all time. 1979 — As the track completes its first decade under the control of the Del Mar Thoroughbred Club, attendance (17,449 per day) and handle ($2,696,598 per day) show a rise for the 10th straight year. 1980 — Mary Lou Tuck strikes a blow for liberation when she pulls off a stakes double with the grey battler Go West Young Man. The trainer sends out her charger to capture both the Eddie Read and Del Mar handicaps, the biggest wins ever scored by a female conditioner in the history of the track to that point. 1981 — A late-running grey horse carries rider Eddie Delahoussaye and trainer Edwin Gregson to the winner’s circle following the finish of the Del Mar Futurity. The following spring Gato del Sol takes those two to the winner’s circle again, this time in Kentucky’s famed Run for the Roses. 1982 — It’s a winning year for juveniles at the track as Landaluce triumphs in the Del Mar Debutante for trainer D. Wayne Lukas and goes on to be named 2-year-old filly champion, while Roving Boy captures the Del Mar Futurity for trainer Joe Manzi and picks up an Eclipse as top 2-year-old colt. 1983 — If you like to watch Eclipse Award winners run, Del Mar is the place to be this year. Althea (2-year-old filly champion) wins the Del Mar Debutante, then comes back to beat the boys in the Del Mar Futurity. Heartlight No. One (3-year-old filly champion) takes the Del Mar Oaks. Bates Motel (champion older horse) captures the San Diego ‘Cap. And Chinook Pass (champion sprinter) is best in the Bing Crosby Handicap. 1985 — Del Mar completes an underground tunnel into its infield and fans flock to the center of the track for picnics, rays, Frisbee flings and close-up views of the thoroughbred action. It quickly becomes hard to believe that the infield hasn’t been part of the track forever. 1986 — Five turf marks and a like number of dirt standards are set by such good horses as: Turf–Hidden Light (Del Mar Oaks–1:47 4/5); Al Mamoon (Eddie Read H.–1:46 3/5); Aberuschka (Palomar H.–1:34 2/5). 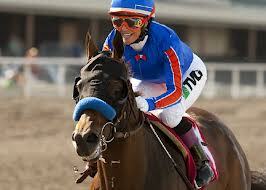 Dirt–Brave Raj (Sorrento S.–1:22 3/5); Hopeful Word (Cabrillo H.–1:46 2/5); Temperate Sil (Balboa S.–1:23). 1987 — Bill Shoemaker and Charlie Whittingham team up for the third time to win the Del Mar Handicap, here with a horse named Swink. The tally is the 93rd and final stakes victory at Del Mar for Shoe, who goes out in style: Swink sets a track and stakes record of 2:13 4/5 for 11 grassy furlongs. 1988 — The big names abound this summer: Gary Stevens wins his second straight seaside riding crown; Chris McCarron wins 10 stakes races; D. Wayne Lukas wins his third training title; Fred W. Hooper is the leading owner; Precisionist breaks a 25-year-old track standard with a mile in 1:33 1/5. If that isn’t enough, Inter Track Wagering comes to the seashore and pushes daily handle ($6,749,971) and attendance (33,100) through the roof. 1989 — Del Mar becomes the leading track in the country with a daily average handle of $7,320,623; Olympic Native sets a track record for seven panels (1:20 1/5) in winning the Pat O’Brien B. C. Handicap; and Bill Shoemaker goes out a winner for the 889th and final time in his very last ride at the seaside oval on September 10. 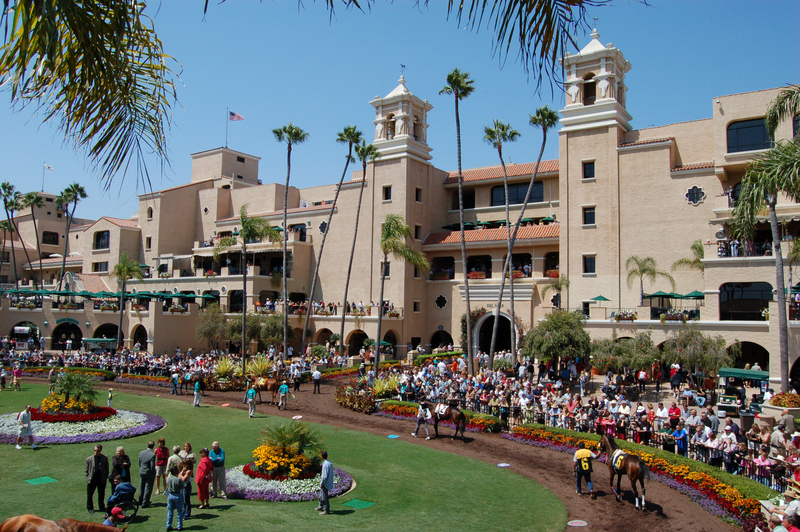 1990–Del Mar retains its hold as the nation’s leading track with a daily average handle of $7,510,867. The track also announces plans for its richest race ever–the $1,000,000 Pacific Classic for 1991–and finalizes a program for the start of a new $80,000,000 grandstand following racing in ’91. 1991 — The hometown horse–John and Betty Mabee’s Best Pal–zooms to an impressive tally in the $1,000,000 Pacific Classic as the lone 3-year-old in the powerhouse lineup for the inaugural edition of the track’s richest and most prestigious race ever; Del Mar retains its place atop the nation’s list in daily average handle ($7,806,430) and moves into the No. 1 spot for daily average attendance (37,072); and, with the close of racing on September 11, the wrecking ball lands on the old grandstand and the rebuilding begins. 1992 — The “new” Del Mar–well, half of it, anyway–is unveiled, causing a striking juxtaposition of the track’s past and future. This temporary arrangement, which features a rebuilt grandstand section alongside the old clubhouse and turf club, will last only for one year. Out on the track, Peter Wall’s Missionary Ridge pulls off a major upset as the longest shot in the field in the second edition of the $1,000,000 Pacific Classic and Del Mar continues its reign as the nation’s leader in both daily average handle ($7,699,259) and attendance (35,384). 1993 — The “new” Del Mar, $80-million worth, is dedicated by Governor Pete Wilson. Trainer Bobby Frankel makes it two-for-three in the $1-million Pacific Classic with 505 Farms and Nahem’s Bertrando, Laffit Pincay, Jr. wins the 8,000th race of his remarkable career and the track continues its run in the racing heavens with average handle ($8,122,609) and attendance (34,415). 1994 — Del Mar leads the nation in daily average attendance (35,849) for the fourth straight year and reaches a new high in daily average handle at $9,603,271. Trainer Bobby Frankel continues his Pacific Classic dominance by registering his third score in the race, this time with Juddmonte Farms’ Tinners Way. Owner Vern Winchell, trainer Ron McAnally and jockey Alex Solis pull off a nifty double when they capture the meet’s top two juvenile events with Call Now (Del Mar Debutante) and On Target (Del Mar Futurity). 1995 — With simulcasting pushing the envelope’s edge even further out, the track takes yet another jump in the world of average daily handle ($11,263,896), while remaining atop the list for daily average attendance (33,150). In perhaps the most bizarre incident in Del Mar’s history, a suicidal fan dashes onto the track and runs among a field of oncoming horses, somehow managing to avoid killing or injuring himself and the eight throroughbreds and their riders. Trainer Robert Frankel just won’t let the Pacific Classic loose, as he wins it again with Tinners Way. And a rejuvenated Chris McCarron captures his fifth seaside riding title–but first in 11 years–by winning the last race on the last day of the meet. 1996 — The track experiences its most exciting day ever when a record throng of 44,181 comes aboard to watch the mighty Cigar attempt to break Citation’s 16-consecutive-wins mark in the sixth Pacific Classic. But the roar turns to a hush of disbelief as unheralded Dare And Go upsets the champ. Buoyed by the big day, Del Mar once more ranks among the cream of the game’s crop–daily average attendance of 31,587 (1st nationally) and daily average handle of $11,677,827 (2nd nationally). Finally, on closing day, a young colt named Silver Charm wins the Del Mar Futurity, a signpost that points him out as something special, a point he furthers with an exciting Triple Crown run the next spring that comes up less than a length shy of glory. 1997 — The track continues to do outstanding numbers–30,578 for daily average attendance (1st in nation) and a record $12,115,024 for daily average handle (2nd nationally)–amidst the surf and turf and fun and sun. The mighty Gentlemen puts his stamp of class on the Pacific Classic; trainer Bob Baffert fires nothing but bullets out of his barn; Kent Desormeaux announces he’s back as a serious riding force on the Southern California scene; and Golden Eagle Farm wins the owners’ title en route to an Eclipse Award season for John and Betty Mabee. 1998 — Del Mar crowns a couple of new kings — trainer Ron McAnally and rider Laffit Pincay, Jr. The former pulls the cinch on his 375th Del Mar winner, surpassing the long-held standard for most seaside victories set by Farrell Jones, while Pincay — overcoming an injury that had him on the sidelines for most of the meet — registered tally No. 890 to go past the shore oval’s previous riding champ, Bill Shoemaker. The attendance and handle continue to ride high, while Mr. Triple Crown (Bob Baffert), Corey Nakatani and Golden Eagle Farm are respectively the best of the best in the trainer, jockey and owner ranks. The flashy grey/roan Free House collects the biggest prize of the season in taking the $1-million Pacific Classic. 1999 <>- Golden Eagle Farm (John and Betty Mabee) wins its sixth owners’ title, eclipsing the famed Elmendorf connections as Del Mar’s winningest owners ever. Leading the Golden Eagle ’99 charge is the white-footed whirlwind General Challenge, who romps in the rich Pacific Classic. Trainer Bob Baffert accomplishes an amazing feat when he wins all five of the track’s Grade I races, four of them with leading rider David Flores in the boot. 2000 <>- For the 10th year in a row, Del Mar and its satellites top the nation in daily average attendance (27,960). Robert Frankel does it again (!) when he saddles Skimming to take the Pacific Classic for the trainerpis fifth win in 10 runnings of the $1-million race. Bob Baffert captures his fourth straight conditioning title and rising star Victor Espinoza is champion rider. And it all gets seen on the trackpis new video boards in the infield and the paddock. 2001 — There is talk of changing the race name from the Pacific Classic to the Robert Frankel when the Hall-of-Fame trainer does his deja vu magic with Skimming for an unprecedented sixth win in a particular $1-million race. The victory helps Juddmonte Farms become the first Del Mar owner to top $1 million for a season ($1,150,954). And it’s that Bob Baffert fellow as champion trainer once more, while Alex Solis goes back on top among the riders. 2002 — The track loses one of its great leaders when John C. Mabee passes at age 80, but carries on the tradition he helped put in place, including his grandest idea of all: the $1-million Pacific Classic (captured this year by the 3-year-old ace Came Home). Daily average handle goes to an all-time high ($12,351,679); a rejuvenated Patrick Valenzuela wins a riding title for the first time in more than a decade; Bob Baffert takes his sixth straight training title, and The Thoroughbred Corp. captures its first owners crown. 2003 — Del Mar was saddened with the passing of two of its riding stars, John Longden and Bill Shoemaker. South American ace Candy Ride sets a track record (1:59.11) in winning the Pacific Classic. The betting goes higher still with another record season ($570,903,890). Bob Baffert and Pat Valenzuela are the training and riding champs again, and Valenzuela and Hall of Famer Julie Krone – making a big splash in her first season at the shore – put on a match race for the ages with P Val winning it by a whisker. 2004 — The numbers are still nifty, with a record total handle ($580,382,206) equating to a record daily average ($13,497,260), aided by another on-track attendance increase <> the fourth straight <> to an average 17,052 per day. Purses reach an all-time high (a daily average of $559,349) and there is a record Pick Six payout ($2,100,017) to one lucky bettor. Pleasantly Perfect is the Pacific Classic star, making sure Gerald Fordpis Diamond A Racing Corp. is Del Marpis leading owner, while jockey Corey Nakatani and trainer Doug OpiNeill prove best of their respective rivals. On a lone sour note, the track hosts what may prove to be the last Del Mar yearling sale, a summer staple at the shore since 1954. 2005 — Once again the marks for its betting standards tumble as fans find the Del Mar product alluring and they plunge a record $608,168,297 through the wickets for a daily average of $14,143,449. Reflective of this, a single-day handle mark is set ($24,004,733) and purses reach a new pinnacle at $592,406 per day. An ownership group headed by Rancho Santa Fepis Jon Kelly hits it big with Borrego in the $1-million Pacific Classic and Victor Espinoza earns his second jockey crown while Jeff Mullins wins his first trainer’s title. “Sing Along With Bing” is born, “Four O’Clock Friday” continues to pack ’em in and turf and surf, fun and sun has never seemed better. 2006 — Opening day is a dandy. 42,005 turn out, the second-largest crowd in track history . and the tone is set for another fun and sun run through the summer. The explosive Lava Man captures Pacific Classic No. 16, thus becoming the first to sweep California.s three Big Ones (S.A..Cap, H.wood Gold Cup) in one year. Leading rider (again) Victor Espinoza does something never done at the shore oval before when he wins seven races on one card on Labor Day. And California.s new training kingpin, Doug O.Neill, earns his second Del Mar title. 2007 -n The Polytrack Era dawns at Del Mar, all $9-million worth of it, and the new main-track surface brings slower times, but safer trips for horses and riders. Another Opening Day onslaught — 42,842, second-largest crowd in the trackis history n kicks things right off and the Pacific Classic Day handle — $24,667,351 n is the largest one-day run at the wickets in the seaside courseis 68 summer seasons. Student Council surprises in the Classic, while Michael Baze captured his first Del Mar riding crown and Doug OiNeill takes home his third in the past four years. 2008 — The seaside oval charges out of the gate with an Opening Day record crowd n 43,459. Battling a recession-bound economy heading south, it takes a mild hit at the gate and the wickets, but manages to hold its own in the end. A tweaked Polytrack allows for faster times while continuing to reduce catastrophic injuries. The eastern invader Go Between snatches the Pacific Classic, as newcomer Rafael Bejarano and old pro John Sadler win their first jockey/trainer crowns. 2009 — For the first time since 1945, Del Mar runs five days per week, dropping its Monday programs (with the exception of Labor Day) in an adjustment to a tough economy and a declining horse population. And less proves to be more. The seaside trackis 70th racing season sees ups in on-track attendance and handle as fans and horsemen respond positively to the switch. Opening Day, which has become an event all unto itself, establishes a new record when 44,907 fans start things with a rush. Richardis Kid pulls off a big surprise in the Pacific Classic and John Sadler is training champ (again), while Joel Rosario wins his first shore riding crown. 2010 — Despite a continuing recession that puts the squeeze on businesses everywhere, the track manages to increase its daily on-track body count to 17,906, numbers that haven’t been seen on the local scene since pre-ITW days. Leading off the action is that racing world buzz event, Opening Day at Del Mar, which draws a single-day record of 45,309. The mighty Zenyatta wins her third straight Clement L. Hirsch Stakes and Richard’s Kid makes it back-to-back in the Pacific Classic. Doug O’Neill is the training champ again and Joel Rosario – with a tally in the last race of the season – wears his second straight riding crown. 2011 — For the seventh year in a row, the track’s Opening Day attendance rose, this time to a single-day record of 46,588. The big start carried through another good season that saw it offer the highest overnight purses in the country ($626,893 per day on average), increase its field-size-per-race (8.4), offer a unique “Ship and Win” program that drew more than 100 new horses to the track and present a campy match race between riders Mike Smith and Chantal Sutherland called the “Battle of the Exes” (they were once engaged) that bumped up attendance and had a national racing crowd tuning in (Smith won it). Cal-bred Acclamation went wire-to-wire in the Pacific Classic, Joel Rosario won his third straight riding title (the last to go on a run that long was Bill Shoemaker in the early 1950s) and Mike Mitchell doubled up by not only winning the training title, but also becoming Del Mar’s all-time leading trainer with his 454 local triumphs. 2012 — Yet again Opening Day proves a pip, as a new single-day attendance mark is established when 47,339 come on board to get the track’s 75th anniversary year rolling in rollicking fashion. Betting booms throughout the summer, finishing up at a healthy average of nearly $12.4-million each afternoon, triggering a record high purse mark of $687,000 per card. A classy soph named Dullahan ships in and fires all guns to take TVG Pacific Classic honors, while Rafael Bejarano rings up 52 firsts to earn his second riding title. And though he managed to win his 100th stakes race at Del Mar, training champ Bob Baffert missed out on his eighth Del Mar conditioning crown when he was nipped on closing day by first-time winner Peter Miller 21 to 20. 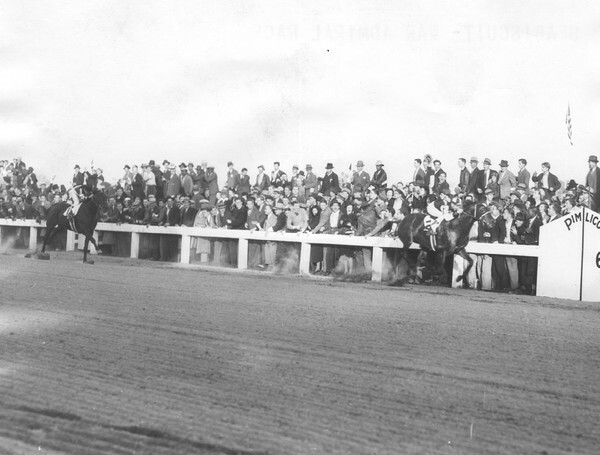 Seabiscuit (right) beat War Admiral (left) by four lengths in the 1938 Pimlico Special.